Based in Nagpur, Excellworld Holidays offers Travel Insurance to people who like are avid travelers. Whether they are going on a domestic or international trip, Travel Insurance is an absolute must for travelers. Ideally a Travel Insurance covers some of the most common risks involved in traveling like theft of luggage, valuables e.g. camera, handy cam, etc. loss of documents, etc. 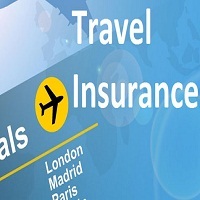 We assist clients in getting the best Travel Insurance plans. With us, clients can be assured of having a wonderful travel experience without having to worry about other things. Depending upon the destination, we help clients identify the best Travel Insurance plans suited to their travel plans.